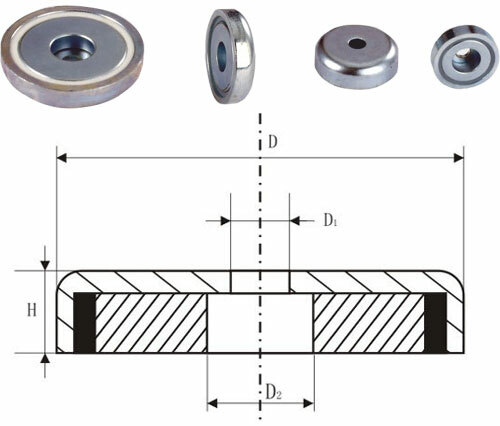 Fuzhou AO Magnet Electronic have been producing cheap Pot magnets for years. 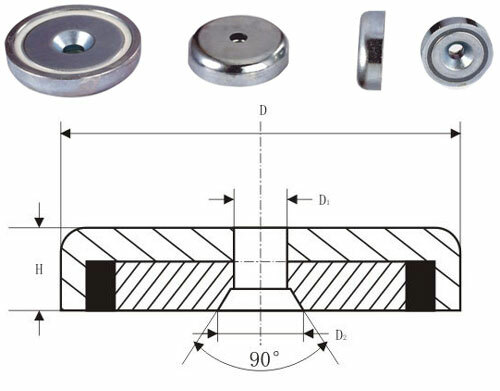 Neodymium Pot Magnets. Widely used in assorb ! 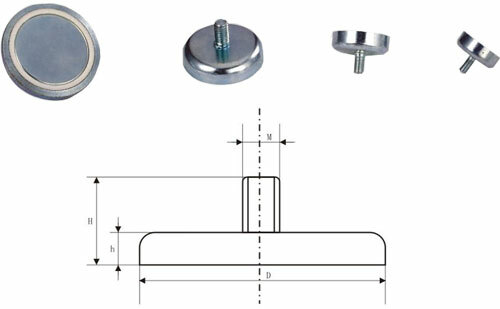 The following items are the relative products of the NdFeB Pot Magnets, you can quickly find the NdFeB Pot Magnets through the list. This neodymium ring magnets in a steel pot is countersunk. It can be fastened with a countersunk screw. The steel pot substantially increases the holding power of the magnet, but requires full contact with the opposing part, e.g. a steel plate. Magnets in steel pots don't have much effect into the distance, i.e. they are not suitable to attract a metal item from a distance, but they are very well suited to hold on to a piece of metal in full contact. 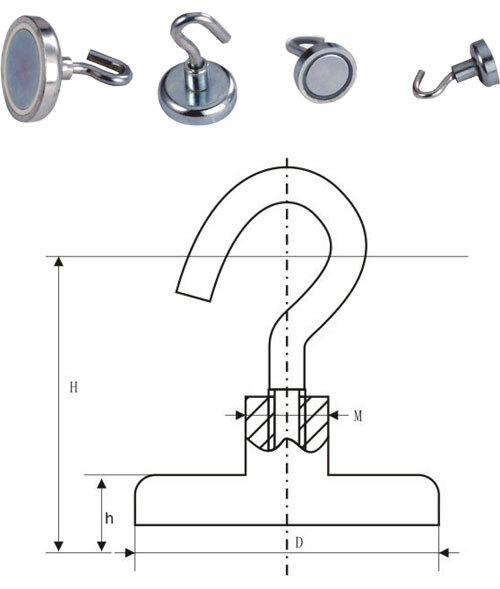 The neodymium Pot Magnet with Countersunk widely used in Sale Displays, Exhibitions, Marketing Displays, Doors, Panels, False Ceilings. 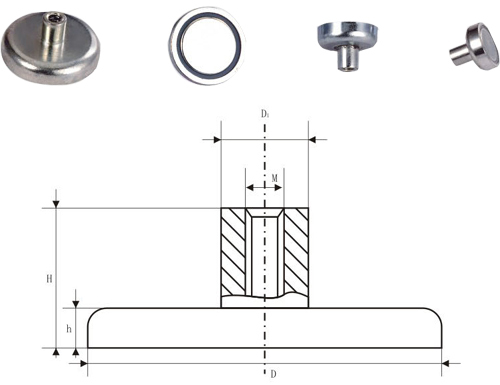 The Pot Magnet with Countersunk have a countersunk hole in the front (magnetic) face and can be easily fixed in place with a countersunk screw (M4, M5 and D8). They are ideal for using in fixing applications such as Point of Sale Displays, Exhibitions, Marketing Displays, Doors, Panels, False Ceilings and Light Fixtures and Fittings. AOMag can produce other Pot Magnets with Countersunk according to customer requirements. 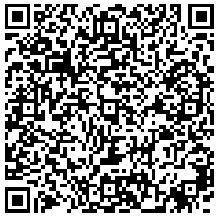 You are welcome to contact us for more information.